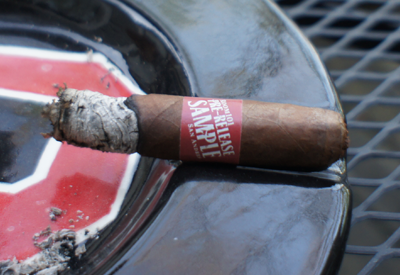 Today's review is a pre-release sample that my partner Mario (@cigarexplorer on twitter) gave me last week. I'm not sure where he got it, but if I had to guess, it came from Governors Smoke shop (@GovernorsSmokes on twitter) -- one of the newest, and definitely fastest, growing brick & mortar cigar shop in Columbus. 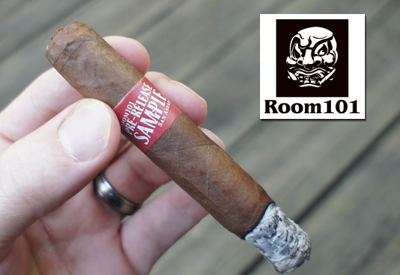 The Room 101 San Andres is a tiny little cigar that I would bet is meant to compete with sticks like the MUWAT Baitfish and the Tatauje Petite Cazadore. A quote from Matt Booth (@room101cigars on twitter) about the San Andres: Rolled on the juicy hindquarters of models from Jay Zs big pimpin' video from the finest Botswana funk leaf. This really is a little cigar. Like the Namakubi Papi Chulo, it's small, but also packed full. 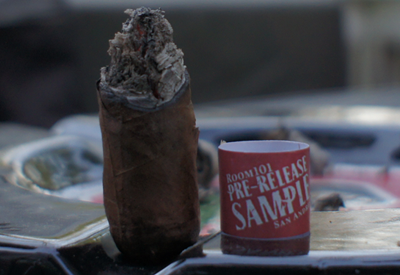 The wrapper on my Room 101 San Andres was very toothy and had a reddish hue to it. The construction was top notch and the cap was especially nice looking. There were some smaller veins, but nothing that really took away from the look of the cigar. The pre-lit aroma had a nutty scent to it and the cold draw tasted strongly of honey. I was expecting something else because of the Mexican wrapper, which normally has such a strong, dirty chocolate flavor, but I definitely didn't detect any of that particular profile. From the first draw on my Room 101 San Andres, I got a lot of flavor. It was not an in-your-face flavor, nor a punch to the palate, but more chill and mellow. The front of the profile tasted like graham cracker and gingerbread and tailed off into a nice raw, sweet finish. After a minute or two, the finish also picked up a bit of pepper, but not anything hot or spicy. I was enjoying this combo of flavors a lot, and actually texted to my friend right away how nicely this pre-release was going. The construction was perfect and the draw just where I like it with slight resistance. I would put the nicotine strength of the cigar in the mild to low medium range. The second half of this tiny Room 101 San Andres was pretty much the same as the first half with one small change on the front of the profile. Adding in with the graham cracker and gingerbread was a hint of cinnamon. Now if this sounds like a dessert cigar to you, I would say you are exactly correct; it would be perfect for after a light meal. The finish was the same as the first half with a lot of raw sweetness. Again the construction never failed me and there was no need for a re-light. The nicotine strength also stayed consistent in the mild to medium range. Final thoughts on the Room 101 San Andres ? 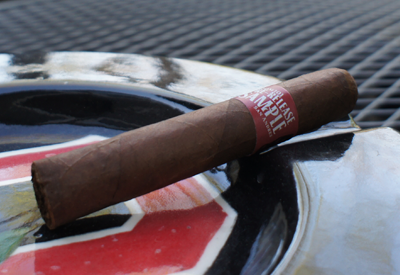 Again, just like the Namakubi Papi Chulo, this cigar took only about twenty minutes to smoke. Of that twenty minutes, I enjoyed every second. The flavors are mellow but strong, and had a nice balance. It's a very sweet cigar in this size, so if sweetness is not your thing, maybe the bigger sizes coming out in April (so says the pre-release band) will be more to your liking. I can't wait to see what this blend does in a bigger/longer smoke. Room 101 is stepping up their game. Would I buy a box? If the price is right, I would take a box of these. 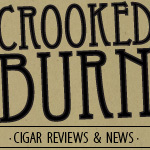 Great short smoke that is easy on the body as far as nic strength goes.